Exactly six months after the release of Jolly LLB 2, superstar Akshay Kumar is back with another entertainer titled Toilet Ek Prem Katha. As title suggests, it’s a love story which is incomplete without a toilet. Inspired by the campaign ‘Swachh Bharat Abhiyan’ of prime minister Narendra Modi, the film is a satirical take against the age old tradition of open defecation. With such serious subject, it doesn’t seem easy to make a full fledged film that entertains the audience. But the director Shree Narayan Singh and his team still tried hard and also got succeed to a large extent. Yes, Toilet Ek Prem Katha is an excellent effort that offers entertainment with a relevant societal message. 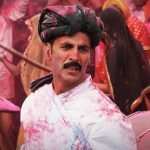 TEPK is a story of Keshav (Akshay Kumar), an intermediate pass-out who lives in a village of north India and manages his family’s bicycle store. He falls in love for a topper girl named Jaya (Bhumi Pednekar), who also starts loving him and both get married. On the very first of their marriage, Jaya discover that Keshav doesn’t have toilet in his house. She denies to defecate in open and asks Keshav to build a toilet inside. But his father (Sudhir Pandey) claims that it is against their culture and he won’t allow to defecate in the house. Because of this, Jaya decides to leave her marital house and then Keshav takes a stand against this age-old tradition to win his love back. 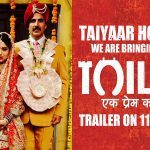 With Toilet Ek Prem Katha, once again Akshay Kumar proved his versatility. He has given a brilliant performance, which can be considered as one of his career’s best performances so far. Bhumi also justified her role superbly well and they deserve huge applause for their work. 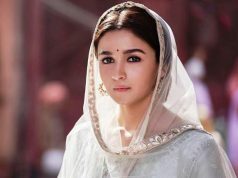 Actor Sudhir Pandey as a strict father, Divyendu Sharma as Keshav’s younger brother, Anupam Kher as Jaya’s uncle, Shubha Khote as Keshav’s grandmother, Rajesh Sharma as DM Mathur and rest all the supporting actors have given sincere performances. TEPK has a decent music, which sounds pleasant and also supports well to film’s scenario but doesn’t make any heavy impact on listeners. Direction is good but could have been better, because the screenplay seems little slow. But still it’s an entertainment package that urges social wellness with witty and worthy dialogues. Overall Toilet Ek Prem Katha is another winner from the hit machine Akshay Kumar and surely deserves your time. It can be the one for which entire Hindi film industry is waiting from last four months. Toilet Ek Prem Katha is another winner from the hit machine Akshay Kumar and surely deserves your time. It offers entertainment with a relevant societal message.